Darcy Oake tried out for Britain's Got Talent - and he's gone viral. The literal magician did some tricks with doves and whatnot and people were impressed. This guy actually has been travelling all over doing shows, he wasn't just doing card tricks at the family Christmas eggnog slosh fest and thought 'I need a stage!' And speaking of his family - his father is more famous than he is. You know him, Scott Oake. 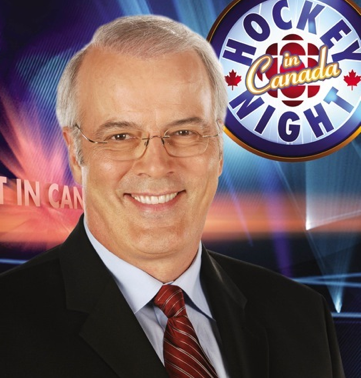 If you are Canadian you know him as one of the faces of Hockey Night in Canada or from his Olympic coverage since the '88 Olympics in Calgary. Well, congrats on having tons of people see your bird trick Darcy. It's the best thing to come out of Winnipeg since...I don't know, Fred Penner?